Howdy! I hope you are well. I am doing ok. Work has been work. Enough said. So, let's craft something! I collect cardboard coffee cuffs. Crazy, right?! But, for a very good reason. It's corrugated cardboard, that's thin. That translates to easy cutting with my die cut machine! I was looking at creating some gift card holders for a few friends, when I remembered a sketch challenge that was perfect for my little creation. 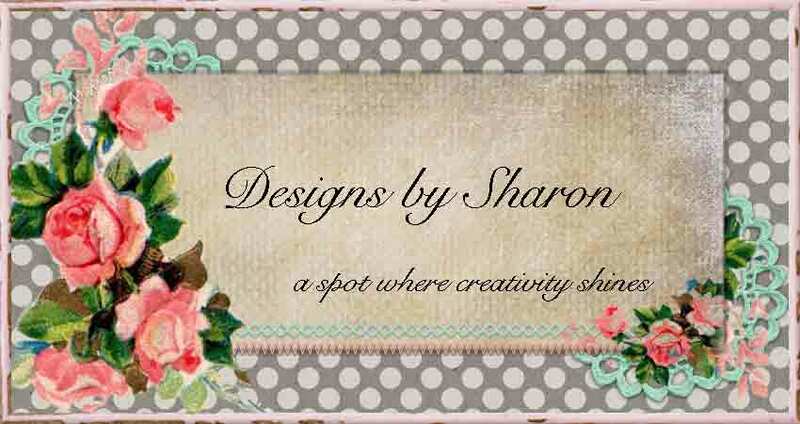 Jen, from Deconstructed Sketches has the perfect sketch for me to use my coffee cuff collection! 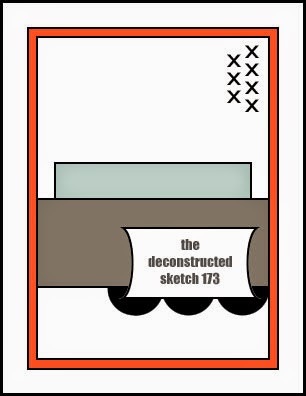 It's sketch # 173. Here it is! 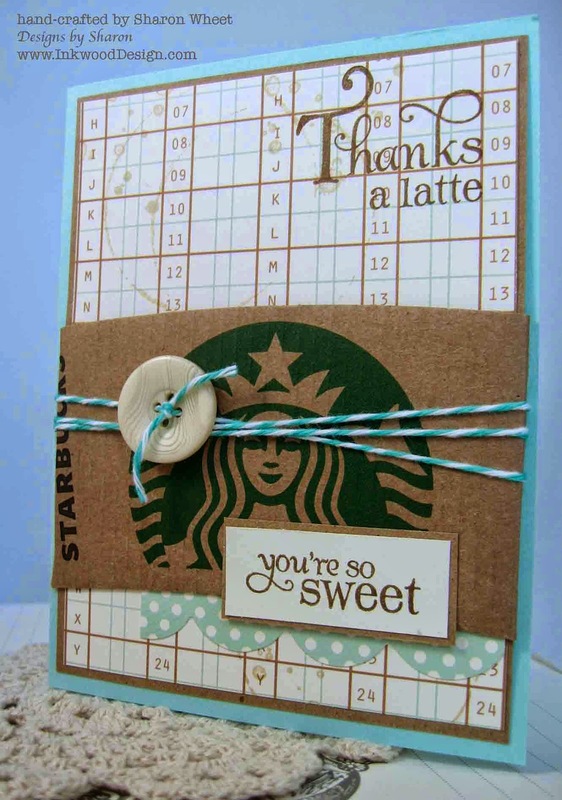 I traded the stitching at the top for a sentiment that I stamped directly onto the pattern paper. The 'green' rectangle is actually the gift card. The brown center rectangle is my re-used coffee cuff. I used a banner piece in place of the scallop trim. But the sentiment remains the same. Here is what I made! 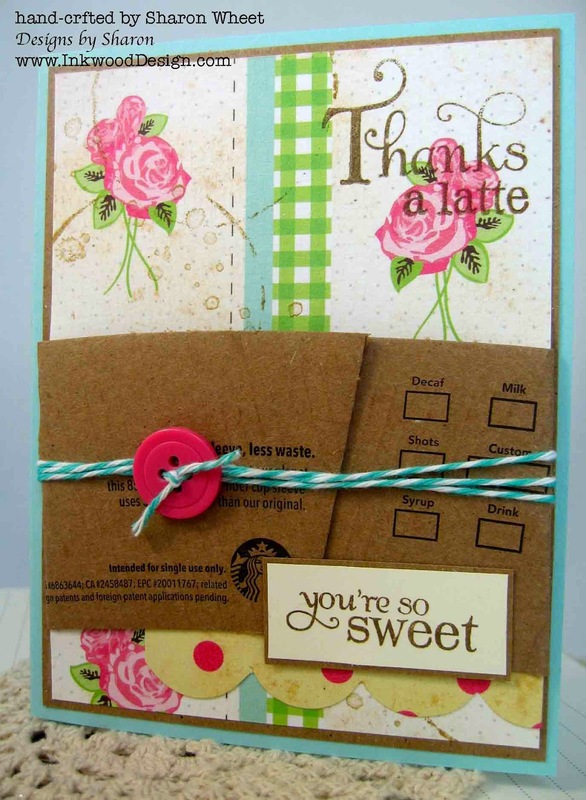 Ok, so here is the recipe: The card base is always artichoke card stock by Stampin' Up!. The matts are kraft by Recollections. 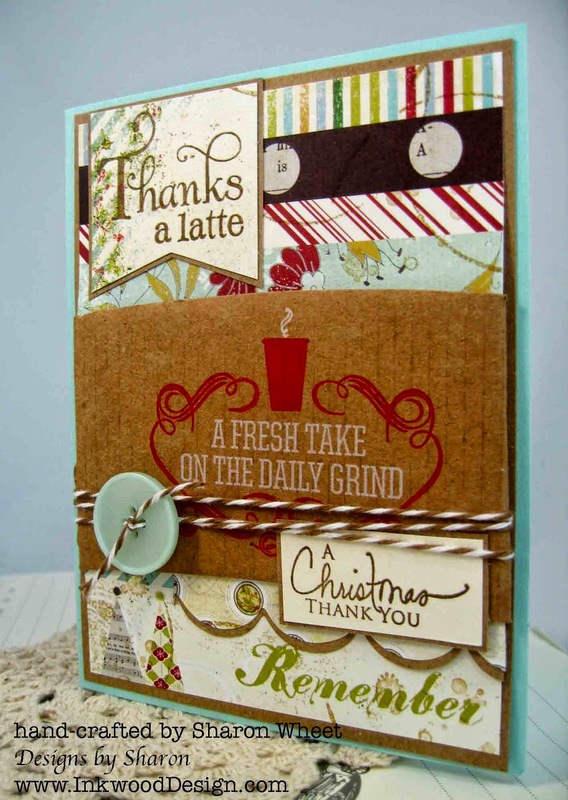 The two sentiments are from the same stamp set by Verve: Delightful and Delicious. I think it's retired. I believe that I purchased the stamp set over 5 years ago. I took a 'collected' coffee cuff, and used the 'back' side. (I didn't think the 'green' side would work.) 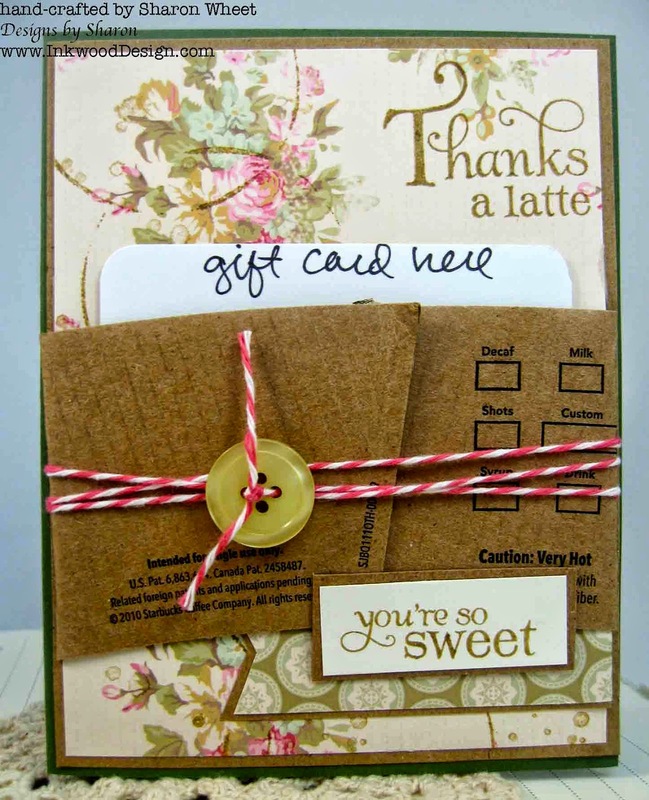 I wrapped some strawberry bakers twine around the card, and tied a green vintage button from Paper Trey ink to the front. I used 3 (yeah, three!) glue dots to hold the button in place. I inked the bottom of a 'favorite' coffee cup into soft suede classic ink, and 'stamped' it right onto the pattern paper. I thought the coffee rings would look sweet. I then took a water mark/splatter stamp and stamped onto the pattern paper, too. and of course I had to make a holiday version! And yeah, these will be for sale at my Arts and Craft Fair this Saturday! Thank you for stopping by! 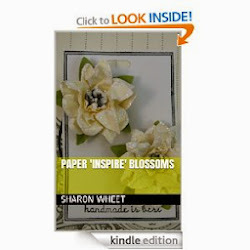 I am off into my craft room once more. I need to create a few more notepads and notebooks, and a couple gift bags. Thank you for stopping by!